Perhaps more than any other fashion trend, bold, oversized shoulders are constantly going in and out of style. Sometimes they return for what feels like a hot second, and disappear again, not to be seen for years. In 2009, shoulder pads made their biggest and most triumphant return since the 1980s, when they truly ruled and reigned supreme. Thanks in large part to the now-iconic, decade-old Balmain Spring 2009 runway, shoulder pads seemed fresh and cool again. Last fall, bold shoulders made a comeback on the runway, on both mini dresses and outerwear, during the Spring 2019 shows, so it’s no surprise we’re seeing them on red carpets, and will continue to through this awards season. Below, we round up our favorite looks from the 2019 Grammys featuring the one trend we’ll always have a love-hate relationship with. The youngest Jenner wore pink head-to-toe Balmain Haute Couture—a chic, refreshing departure from her usual glam red carpet dresses. The singer wore a sculptural Valdrin Sahiti black and white gown with a beautiful (and massive) ruffle embellishment on one shoulder. Hennessy Carolina, aka Cardi B’s sister, stunned in a neon orange blazer-style dress with standout puffy shoulders. The singer wore a custom white, crystal-encrusted jumpsuit by Christian Siriano with a plunging neckline and bold shoulders. 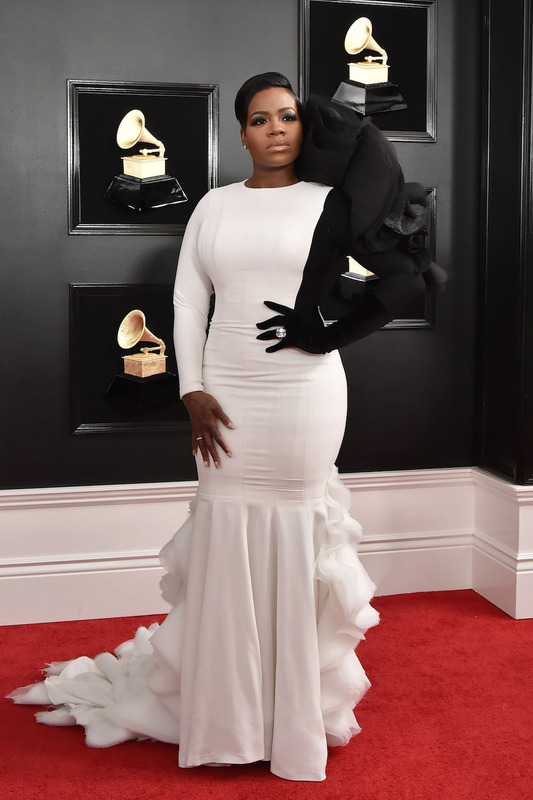 Monae wore not one but two standout looks featuring big shoulders at the Grammys. Her first, an angular Jean Paul Gaultier dress, made an appearance on the red carpet. 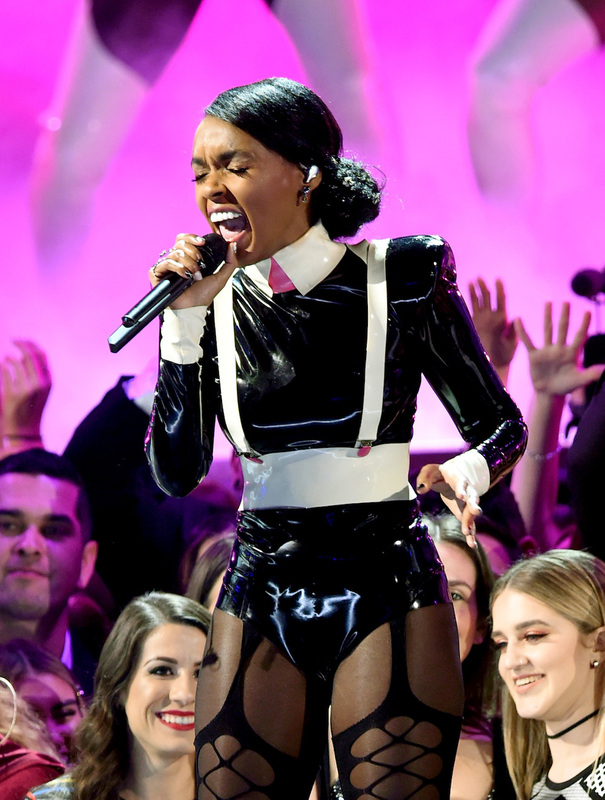 Monae’s second look was a black and white latex outfit with sharp, futuristic shoulders. 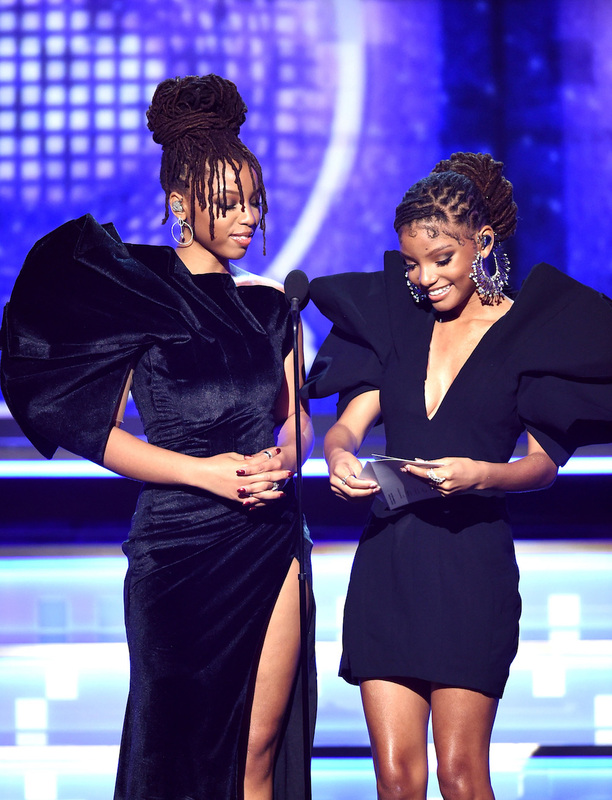 Sisters Chloe and Halle Bailey wore two different but coordinated black dresses to present onstage at the Grammys. Breathing new life into the concept of the little black dress, the singers opted for huge, statement-making shoulders. Knight looked bright and sunny in a mustard yellow embellished Dundas by Peter Dundas mini dress with exaggerated, ’80s-style shoulder pads. In her white Stephane Rolland dress, Klum looked straight-up angelic.